Can You Really Cure Separation Anxiety in Dogs? No Signs of Separation Anxiety in My Dog Yet! Hi! My name is Sarah and three years ago my husband and I got married and decided it was finally time for us to take on some more responsibility. I had always wanted a dog and since I was working at home I could finally take on the challenge of raising a puppy of our own! Little did I know we were signing up for an anxious dog! We first got our dog Manchego when he was three months old. He seemed well adjusted and happy-go-lucky. He and I used to take walks and meet regularly with his puppy friends in the park every morning. He would sleep at my feet while I worked and follow me around the house. He was my constant companion and I was his. I saw no signs of dog separation anxiety that I knew of at the time. After about a month of having Manchego as part of our family, my husband and I noticed that when we were getting ready to leave he would get excited, thinking he was going with us. As soon as he realized no leash was coming out he quickly got depressed. We would come home to find things like remote controls destroyed. Nothing major but these were the early signs of his dog separation anxiety and bigger problems to come. A few months later we took our puppy to visit friends who had a puppy around the same age. The dogs had fun playing together. One night we decided to go for dinner and a movie. We put Manchego in the bedroom we were staying in and thought he’d relax and take a snooze after hours of playing. Boy, were we wrong! We returned to find our anxious dog Manchego howling and crying. We couldn’t even open the door to the room, something was blocking it! We went to the window outside and found that our anxious dog had literally dug up the carpeting by the door trying to burrow out of the room! Luckily the window was open and I could jump in and open the door from the inside but in the end we had to pay to have the carpet in the entire room replaced from the destruction that he had caused. We now realized that our beloved buddy Manchego had a serious problem. Our first thought was that he needed a companion to keep him company while we were away. We loved having one dog so why not get another? We decided to adopt a second dog, Brie who got along with Manchego, played well and they truly seemed to enjoy each others company… However this did nothing at all for Manchego’s separation anxiety. He now had a partner in crime, he could get help breaking into his food container and chewing on things that didn’t need to. They even learned to howl together and disturb our all ready irritated neighbors. Their howling and crying was so loud that you could hear them a block away from our house! Things were really starting to get serious. It had been months since we had gotten the second dog and we were very attached to both of them however we were beginning to fear the worst, we would have to give up one or both of the dogs to appease our neighbors complaints. Even worse, who would want our emotionally damaged dogs with separation anxiety? If we surrendered them to the pound they may even be there too long and have to get put down! Here is a Video of my extremely anxious dogs about 22 minutes after I left them home alone. You can see why my neighbors would complain!! Their dog separation anxiety was terrible! At this point I was starting to get anxious myself and began my own research on the internet. Finally, after weeks of searching and many failed attempts at quick-fix solutions I pieced together a dog separation anxiety cure program that worked wonders for my dogs. The program that I used is simple and easy to follow and will to help you deal with your dog’s separation anxiety and help him to be a happy, healthy dog! When I started using this program to help my distressed dogs and I immediately started seeing results. With something as deep-seated as separation anxiety you won’t be able to fix it over night but if you follow this simple program you too will see a great improvement in your dog’s separation anxiety! Check out this video taken about 6-8 months after we started using my dog separation anxiety cure training methods. This video clip was also taken at about 22 minutes after we left and shows how my dogs are no longer anxious dogs when left alone, in fact they look quite content and happy! It is my hope that I can help others with my story and experiences with curing dog separation anxiety. I know it feels terrible to leave you anxious dog home alone and I would like to share with as many people as possible that your dog doesn’t need to suffer from dog separation anxiety any longer! 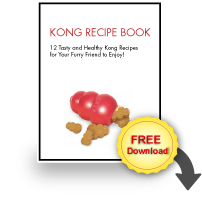 Enter your email and name below and get instant access to our 12 Healthy Kong Recipes for your Dog! WE HATE SPAM TOO! Read Our Terms of Service. Dog Separation Anxiety Cure Giveaway Contest! New Years Resolution: Follow My Dogs’ Examples! Happy Thanksgiving from Dog Separation Anxiety Cure! No, your dog is NOT getting back at your or mad… he has dog separation anxiety!